It was announced today that the EU is assigning an additional €60m to a key initiative for a guarantee facility to boost loans to smaller actors in the cultural sector. The announcement was made as part of the 'Juncker Plan', also known as the European Fund for Strategic Investments (EFSI). The loan guarantee scheme is part of the EU’s Creative Europe programme. With the new increase, the loan facility is expected to generate more than €1bn in loans for thousands of cultural and creative SMEs. This is great news for the supporters of this instrument, which was launched in 2016. It is managed by the European Investment Fund and administered locally through approved national banks. The first agreements were signed with financial intermediaries in France, Spain and Romania, with more to be announced in the coming months. IMPALA Executive Chair commented: "This is excellent news. We have been backing the idea of a Europewide loan guarantee scheme for over a decade. The idea is to trigger more investment in the cultural and creative sectors by guaranteeing the loans provided by banks to smaller actors in these sectors. The fact that we now have a top-up, less than a year after the signature of the first agreements, is a great sign. It means that the facility is in high demand and more money will be invested in sectors which have great potential but are currently under-financed." The European Parliament had also called for some of the EFSI money to be allocated to this instrument, and we understand a similar call will be made for the EFSI 2 plan (to be announced by Spring 2018). 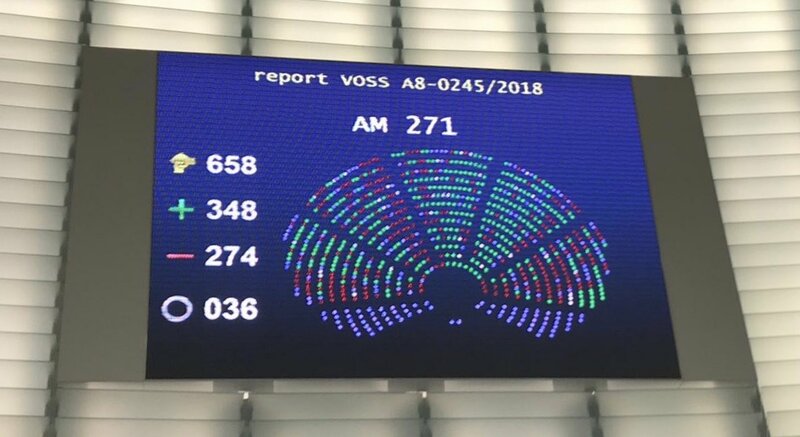 Helen Smith added: "We appreciate the support for more investment in the cultural and creative sectors coming from the European Parliament, and especially from its Creative Industries Intergroup, led by MEPs Pervenche Berès and Christian Ehler."